Previously known as Workflow, Apple’s Shortcuts app give you the ability to automate actions in an app and even between multiple apps. As a programmer, this appeals to me because it allows me to automate common actions but it’s really useful for anyone. I’ll introduce you to a few shortcuts that might be useful but I’ll also highlight some of the actions that make shortcuts both simpler and more powerful. 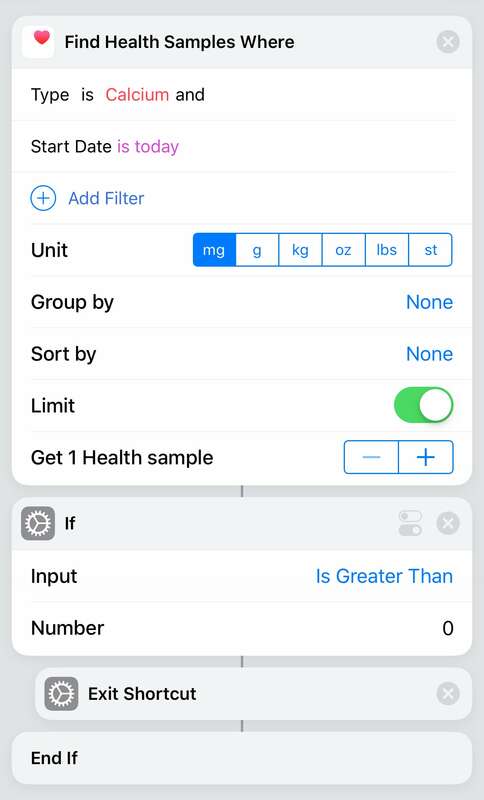 Creating a log of when you take your medication or vitamin supplements is easy enough in the Health app if it’s designed for single measurements rather than a bulk import. Not ideal for complex medicines and multivitamins. Shortcuts makes this really easy. Using a shortcut like this can cause problems, however if you're forgetful or make a mistake. For items you should take daily rather than multiple times a day. Read on for how to make use of if statements and how to stop a shortcut. I came across this Shortcut recently and thought it was a really interesting one. There aren't many use cases but the one cited was for when your phone is for both work and personal use. You may find that you sometimes copy things to share with friends that you wouldn't share with colleagues. 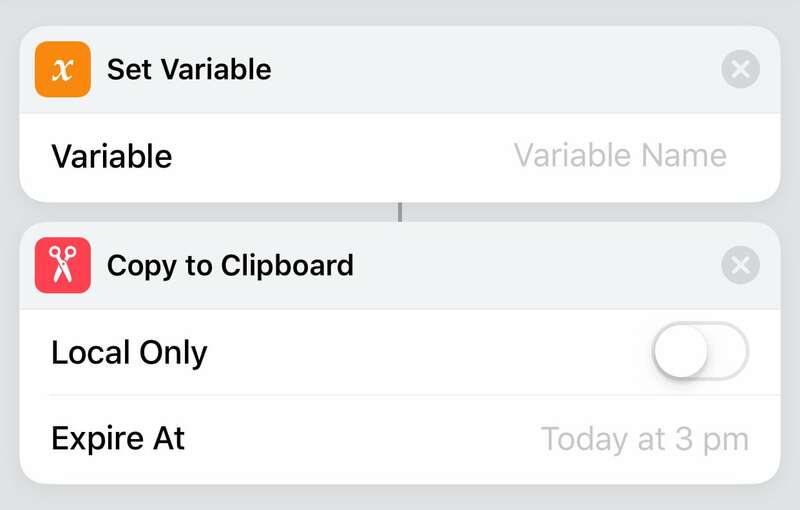 With just a tap, you can clear your clipboard by just creating an empty variable and put that into the clipboard. This particular shortcut is designed to be accessed through the share sheet when looking at a photo that will perform a Google image search to help find similar images but with a tweak you can check if an image has been passed in and if not, prompt to select one. Logging weight with the Health app is pretty easy but only if you measure in Kg so I put a shortcut together to convert stones to Kg. I grew up using stones and pounds when weighing myself so rather than trying to use multiple apps or guesstimating, I'll let Shortcuts do the hard work. I can prompt for the stones, then the pounds and convert those numbers into Kgs and pop them straight into the Health app! This shortcut asks you to input the stones, then the pounds. Once you've done that it will convert the number of pounds into a fraction of stones, combine and convert to Kg. Download this shortcut by clicking on the image above. You can use Shortcuts to run a Scene in the Home app as part of a shortcut but sadly that's as far as it goes. I came across a shortcut which checked the time of day before deciding to run the Scene or not2. I mentioned both IF statements and the ability to stop a shortcut, so lets look at them in some more detail to see what kind of power they can give you. Like in any programming language, the IF statement not only allows you to check if something is 'true', but it also (optionally) allows you to run something different if it's not. In the logging medication example, it's very useful but I find myself wondering if I've hit the button or not today. Open the Health app and checking doesn't take a lot of energy, but with an IF statement at the top, I can check if I've logged one of the values already today and then just stop it there. If I haven't, then carry on and log all the samples. You could do something different with an 'Otherwise' statement, but that's overkill for this as we just want to stop. I find notifications in shortcuts most useful when testing, but they have real use in some cases too. Once you've got the information you need from your shortcut, at any point in the process you can send yourself a notification. Against each shortcut you can not only assign a name, colour and icon but now you can associate a phrase that Siri can listen out for meaning you can run shortcuts with just your voice. Workflow integrated with a few apps but with the rebrand and Apple previewing the rebranded app at the 2018 WWDC, more and more apps are rolling out support. There are two big frustrations for me, the first is that the Home app has very limited integrations, only allowing a scene to be run. The Home app itself lacks the ability to toggle a scene, but then not being able to control a HomeKit device seems like an obviously missed piece of functionality. As we've seen with the Weather app, this could change, but it should be there now. Being able to automate is key to the Home app's functionality and seems like a missed opportunity for Shortcuts. Yes, with a few words or taps I can run but for something I'd like to do daily, automation is a necessity. Who knows, maybe we'll see it in a future update? If you use Shortcuts or have been inspired to create something, let me know! Week 55 What is the internet? A selection of the most used tags on 1 Thing A Week. Quick links and commentary on interesting articles, videos and more throughout the week.